Theism includes any philosophy which claims that some kind of God or gods exist. Keywords: Theism, Atheism, Philosophy, True, God, Deductive. Theistic claims are true	. Either there are no gods, and therefore atheistic claims are true, or there is at least one god, and therefore theistic claims are true. Premise 1: If atheistic claims are false, then theistic claims are true. Premise 2: Atheistic claims are false. Conclusion: Therefore, theistic claims are true. Since atheistic claims are deductively false, theistic claims are therefore deductively true. 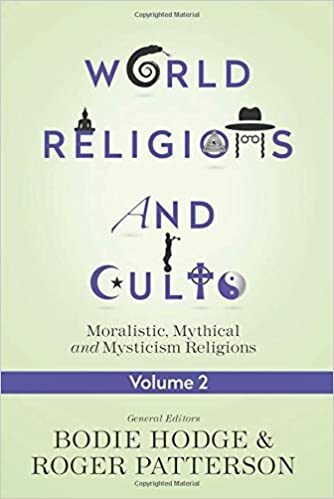 Along with numerous other authors including Don Landis, Bodie Hodge and Roger Patterson, Timothy McCabe contributes analyses of various world religions and cults in this volume from Master Books. "How does your particular faith conceive of vegetarianism and why?" While there is no scriptural command for all people of today to be vegetarians, the Bible does have quite a bit to say about eating meat, or abstaining from it. Initially, Adam and Eve, the two first people, and all of their offspring, were vegetarians. They were told by God what they were allowed to eat, and meat was not included. "If there is a God, but there is no evidence to be found for his existence except subjective experiences, is it not reasonable to assume that if he does exist, he does not want us to know about it?" The conclusion does not seem reasonable to me. First, the premise is very unclear, and I will explain what I mean. Second, in the only way I can see that the premise could be considered true, the conclusion does not seem to be reasonably based on it. AN UNCLEAR PREMISE First, the premise seems unclear in that it seems to suggest that evidence is the only way to justifiably be convinced of something. But note that rational thought cannot exist without reason behind it. "Who killed King Saul, cause Samuel 31:4 and 2 Samuel 1:8-10 contradict each other?" 1 Samuel 31:4-5 Then Saul said to his armor bearer, "Draw your sword and pierce me through with it, otherwise these uncircumcised will come and pierce me through and make sport of me." But his armor bearer would not, for he was greatly afraid. So Saul took his sword and fell on it. When his armor bearer saw that Saul was dead, he also fell on his sword and died with him. 2 Samuel 1:8-10 "He said to me, 'Who are you?' And I answered him, 'I am an Amalekite.